Hiking boots are an exploration staple for me, but they aren't always as functional in the field as I need them to be — and often, I can't wait to remove my heavy footwear at the end of a long day. The Keen Terradora hiking boot has turned everything I know about hikers on its head. The Canadian footwear brand's first women-specific hiker is both functional and street-worthy, capable and fashionable. At first glance, the Terradora claims some of the same robust features of its Keen predecessors. They have a well-protected toe and burly soles with multidirectional lugs that offer traction and stability. But look a little deeper into these waterproof wonders, and you'll find a world of new features. They are exceptionally lightweight and exceedingly comfortable. 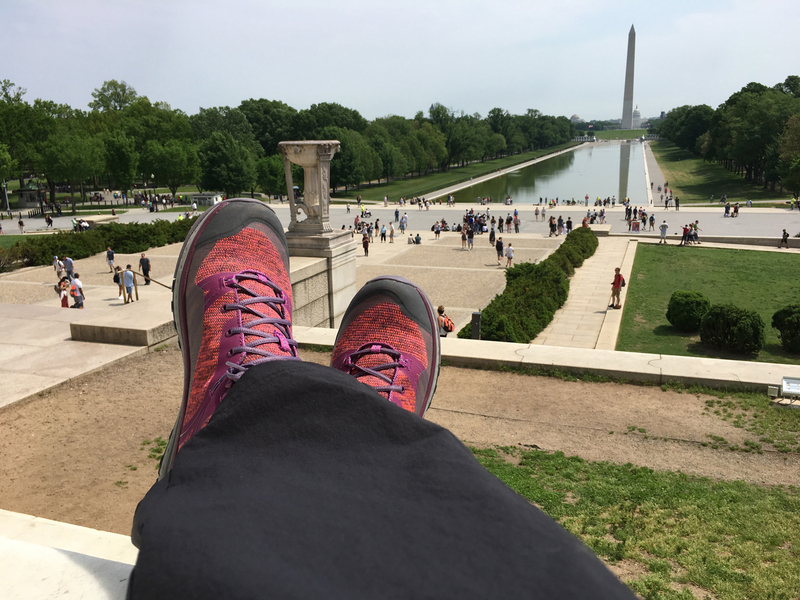 I put my new Keens to the test in a variety of climates from spring rainstorms in Ontario's Elora Gorge to marching for climate awareness in Washington, D.C. to rigorous hikes on the Appalachian Trail to stomping through North Florida swampland. I wore them from dawn to dusk and from trails to museums, testing them for performance, durability and long-term comfort. Until something else really exceptional changes my mind, I'll be wearing these regularly! The breathable mesh upper was great in a wide range of temperatures and offered an excellent range of motion while still protecting my arthritic ankle. I'm prone to blisters in new shoes but never experienced a hint of chafing or pressure in these. The size range included a relaxed size 11 for my big feet. 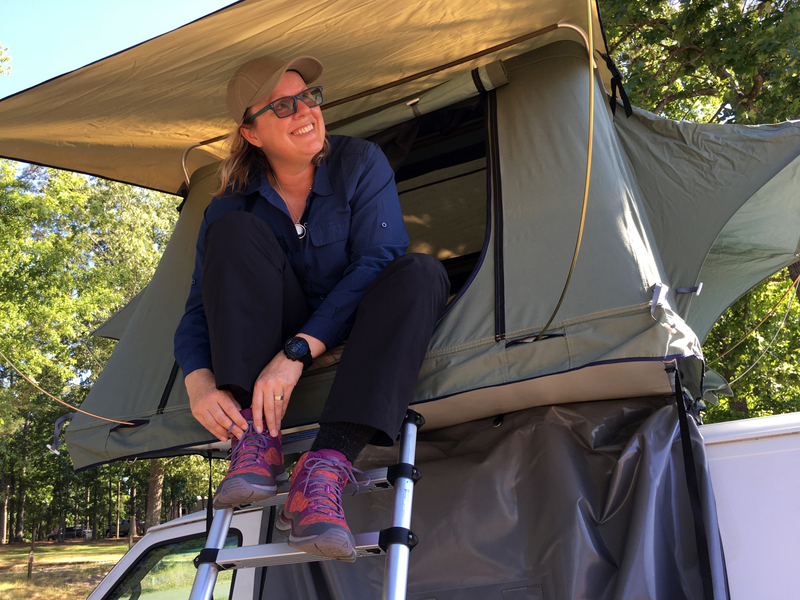 I've often had to turn to men's shoes for rugged features and a size that fits, but Keen has dedicated itself to offering real equality in features in both the men's and women's footwear. I tested the waterproof claims against a variety of situations. 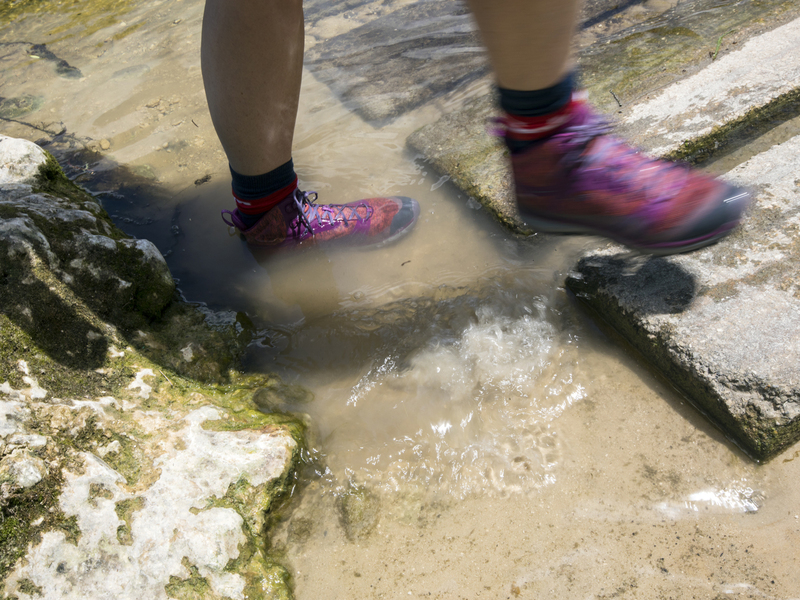 The sole and mid-upper is protected by the brand's exclusive "Keen.Dry" waterproof layer that remained bone-dry even after wading in shallow water for more than five minutes. Above the proprietary membrane, the upper performed well in rain and puddles but began to creep a little moisture after several minutes of wading in water more than five centimetres deep. Although Keen never advertised these shoes as waders, I like to know ahead of time how far I can push my equipment. Successful hiking adventures always come down to quality footwear. Moisture management, grip and comfort are top concerns. Wearing Keen's new Terradora hiking boots, stylish flare accompanies functionality. I'd give these hikers a solid five-star rating for backcountry experiences and urban adventures.